Hi faithful readers, in lieu of a longer form post this week I want to share with you a new segment here at the Crier. I call it a Yorkie, a bite sized intro to a topic or aspect of Toronto. Hopefully they serve to inspire you to check the subject out further, or perhaps it will end up being a preview for a later, deeper post here. It’s city hall, right? Right guys? 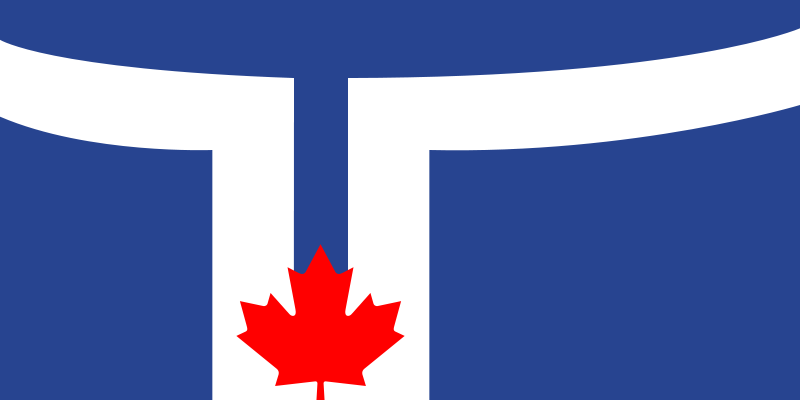 Check out this great podcast episode for an interesting take on flag design and one American city’s flag journey, and this info page on the City of Toronto website that has some more background on the Toronto competition and some of the entries that didn’t make it. BlogTO has a sweet article with some rejected entries too. For the record, my vote would have been Gibson Gaye’s entry. Or that black and white flag on the city site. Or maybe the 1999 one that looks like Jaws is sneaking up on TO. Anyway, that’s all I have for you for now. Leave a comment with your flag vote, and maybe we can petition Jo-To to re-brand.